Denis Diderot and Jean Le Rond d'Alembert. 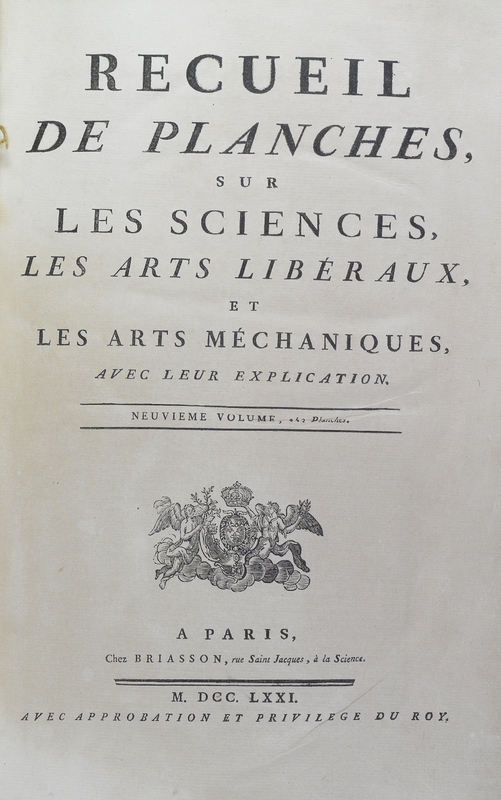 Encyclopédie; ou Dictionnaire raisonné des sciences, des arts et des métiers. 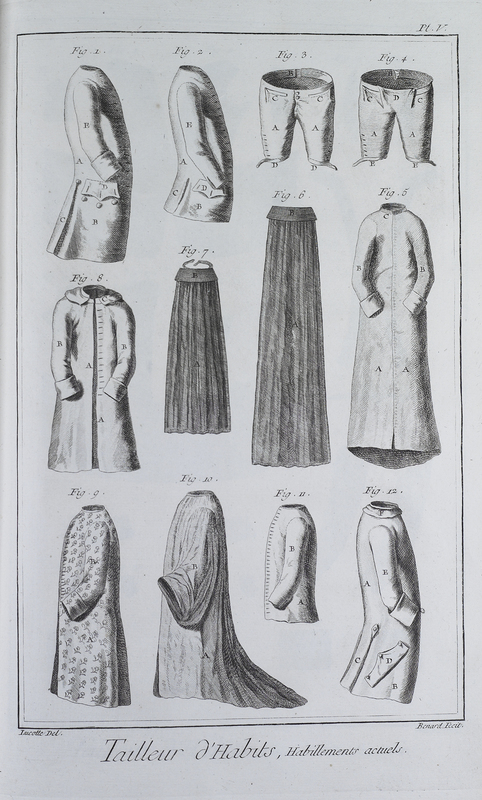 Paris: Briasson, 1751. Denis Diderot (1713-1784), a French philosopher, writer, and editor, was contracted to write a comprehensive work encompassing ideas and knowledge acquired during the Age of Enlightenment. 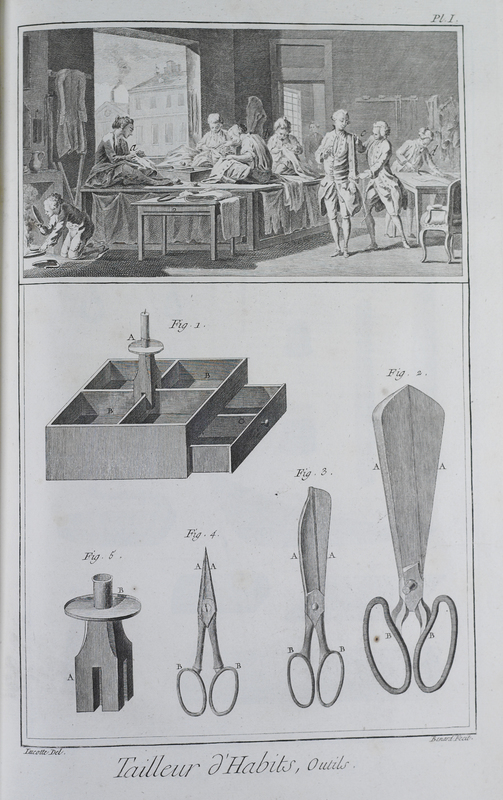 The lavishly-illustrated, monumental Encyclopédie features descriptions not only of the subjects recognized by learned societies in France, but serves as an attempt to document “each and every branch of human knowledge.” Uniting scholarship with information on trades, Diderot emphasized the abundance of knowledge within each subject area. Diderot wrote several hundred articles of various lengths himself. He spent copious time in workshops, mastering manufacturing processes and then documenting what he had learned. Subscribers received the final installment of this 28-volume set in 1772. 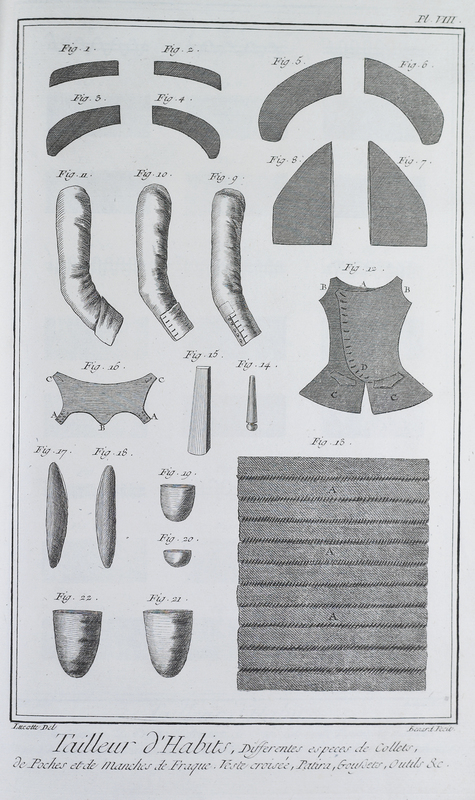 Tradesmen, scientists, and a myriad of other laborers are shown in period costumes relevant to their respective fields in hundreds of engraved plates.